Unfortunately not every business or individual have a data backup. If you are in a situation where you feel your data has been lost due to a faulty hard drive, USB flash drive, or Solid state drive (SSD) we can most likely recover it. We can more than likely recover your data. Simple straight forward, and accurate price quotes. No deceptive pricing, or bait and switch quotes. No up-front payment required. Once we receive your drive* we offer a free evaluation, recovery attempt, and a list of recovered files before paying any recovery fees. 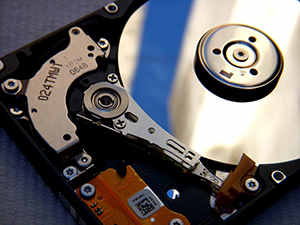 All data recovery is done in Madison, WI. No shipping your drive off to another state, or country. All Aloka IT employees are background checked, and trained to protect your privacy. * A fee may apply for shipping, or personal pickup and delivery of your drive.